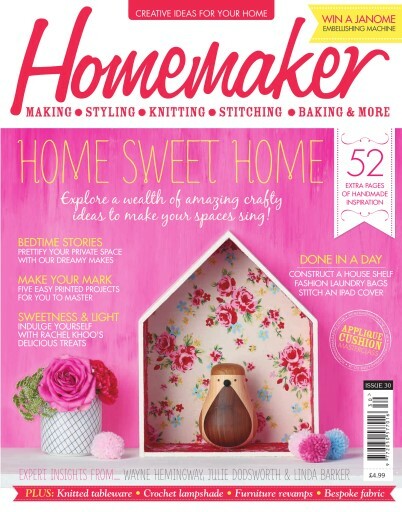 Enjoy a wealth of creative gems for your interiors with the latest edition of Homemaker. Update your bedroom by choosing from a plethora of dreamy boudoir makes - including a clever way to upcycle an old drawer. Talking of revamping, we transform a piano stool into a modern classic with Amanda Walkers classy how-to. You can also gain a new skill when you explore the possibilities of print with our easy entry-level projects that are sure to add an individual touch to your spaces. With all this, plus great bake ideas and top decorating tips you're sure to treasure this issue.